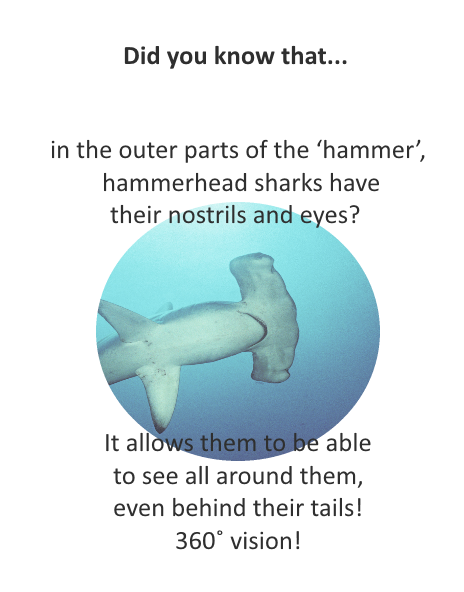 It would be a great idea to knock our heads together with their curiously-shaped heads to open our eyes to the vulnerability of scalloped hammerhead sharks and other marine beings that inhabit the ocean around Galapagos. 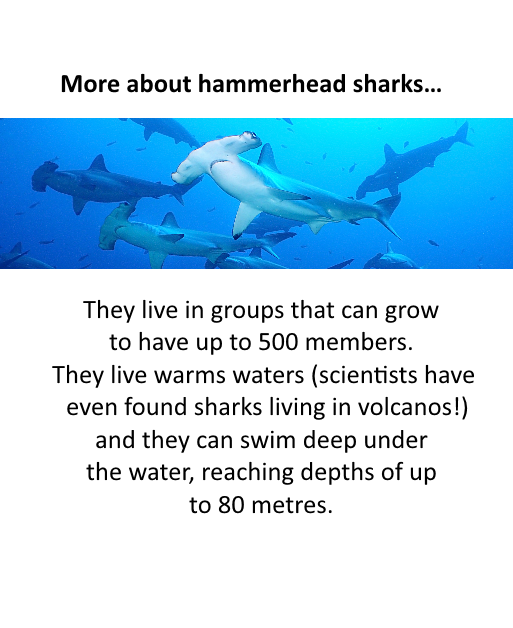 The population of scalloped hammerhead sharks has suffered significantly, leading to a huge decrease in numbers, mostly due to human impacts. On the 21 March 2016, the Ecuadorian government announced that the Galapagos Marine Reserve was to be extended, helping to protect this particular marine nomad and other endangered and unique species that inhabit the waters around Galapagos Islands. Galápagos has one of the biggest marine reserves in the world, and inside we can find the largest biomass of sharks in the world. In Galapagos, 97% of the land surface is protected as a national park, but previously only 1% of the marine reserve was formally protected. This percentage has now been extended to 33% of the marine area due to the creation of a new marine sanctuary, to protect the ecosystems and the inhabitants of the area including: penguins, flightless cormorants, sea lions, albatrosses and sharks. It is difficult to realize how wonderful the life is under the water when we look at the big blue water mass! In fact, the researchers highlight over 2,900 species of animals living in the surrounding waters of Galápagos! Of these species, 57 were catalogued as endangered species by the IUCN. The sanctuary is located in the marine area surrounding Darwin and Wolf islands, and it is home to one of the largest biomasses of sharks in the world. Nowadays, 25% of all sharks are in danger of extinction. But… why is this happening? The main threats are overfishing and illegal commerce, especially the sale of shark fins. Here is where research, conservation, protection and education plans help us to raise awareness of the problems that sharks face, to explore how to minimize our negative impacts on the environment, how to protect it and how to change our damaging behaviours. By Bea Mariño. Bea has a Master’s degree in Management of Sustainable Development. Ecosystem: A collection of living organisms (animals, plants and microbes) and non-living matter (rock, soil, air and water). These components interact with one another as part of a dynamic system. Endangered: High risk of disappearing in the wild. Extinction: When a species no longer exists in the world. Extinction is marked when the last individual of a species dies. IUCN: The IUCN Red List of threatened species is the world’s most comprehensive inventory of the global conservation status of biological species. For more information, you can visit the IUCN Red List Homepage. Marine Reserve: A designated area of ocean or sea with restrictions on human activity, such as fishing. This is to protect the marine habitat and wildlife. You can find more useful glossary terms on the Discovering Galapagos Glossary Hub. Categories: Galapagos Conservation, Wildlife of Galapagos.